Sweet nostalgia. Do you remember those old comics? 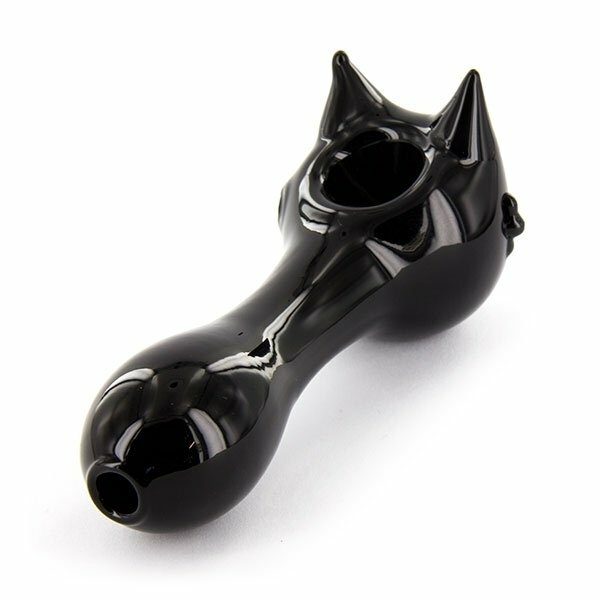 Felix the cat (family cartoon, popular in the 1920s already) as a glass pipe; not to be confused with Fritz the cat (unsuitable for minors). 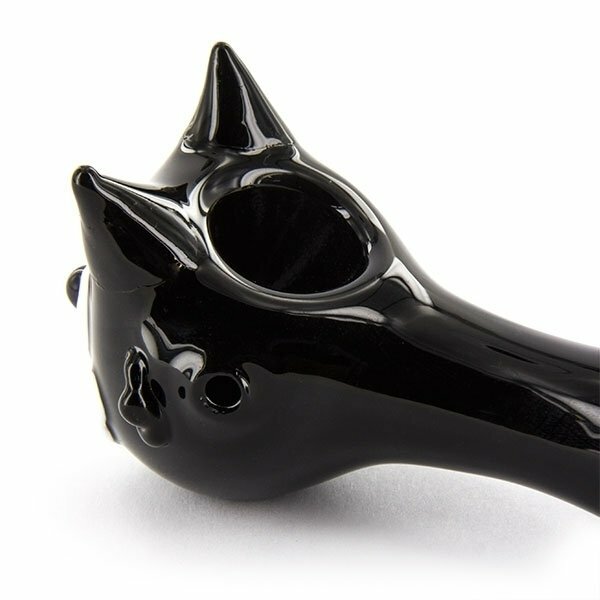 Glass Pipe Felix is a tribute to that character of the silent film era and a puff through its head will make yours purr. Only 12cm long and easy to hide (would be a shame though, its a sweet kitten - meow).